4. It eliminates chronic pain CBD massage oil for Rheumatoid arthritis. Our non-crystal microderm machine method is a cosmetic procedure used to remove the top layer of sun-damaged and dead skin cells. This treatment will diminish fine lines, wrinkles and acne scarring, leaving behind a healthier, younger you. Health benefits of acupuncture include relief from chronic pain, arthritis, anxiety, insomnia, depression, migraine, nausea, postoperative pain, and obesity. 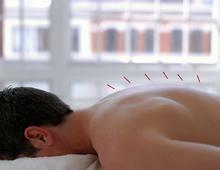 Acupuncture is one of the most widely used alternative medicines throughout the world, and in simplest terms, acupuncture is the practice of penetrating the skin with small needles at specific points on the body. 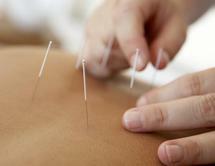 This stimulates certain nerve endings of the body and can relieve a wide variety of health conditions. Cupping therapy or negative pressure, rather than compression, is a great bodywork modality to release the muscles and opens up the fascia, cupping therapy rapidly relaxes soft tissue, loosens and lifts connective structures, breaks up stagnation and removes toxins. It is also ideal for weight loss. The therapist uses glass cups that glide effortlessly over your skin giving you a very strong, vigorous massage with attention to imbalances of meridians, and points. Cupping is ideal for anyone with extremely tight muscles, injuries, athletes, office workers, and anyone who would like to lose weight.